Celebrating the impact of problem solvers and makers around the world who have harnessed the power of Design Kit's tools. When we launched Design Kit, our goal was to introduce the methods and mindsets of human-centered design to people and organizations around the world who, like us, are committed to solving some of the world’s most pressing challenges. Today, we celebrate a community of over one million people around the globe who have used Design Kit’s tools to bring more empathy, creativity, and experimentation to their work. Over the years, we’ve heard from Design Kit users around the world—from nonprofit leaders to teachers to CEOs—about the creative and compelling ways they’ve put these tools to work and play. 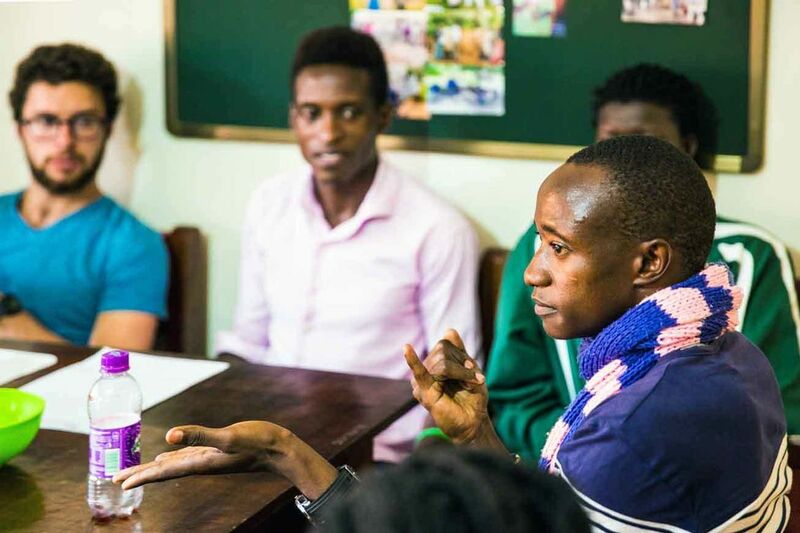 Design Kit has helped people improve access to health services for deaf youth in Uganda, design better tools for smallholder farmers in Southeast Asia, and even train young women in Mozambique as peer researchers. Share your own Design Kit story with us by using the hashtag, #DesignKitinAction on Instagram, Twitter, or Facebook. Adwam is a volunteer group made up of professionals from Syria, Yemen, Saudi Arabia, Qatar, Sudan, and Morocco. 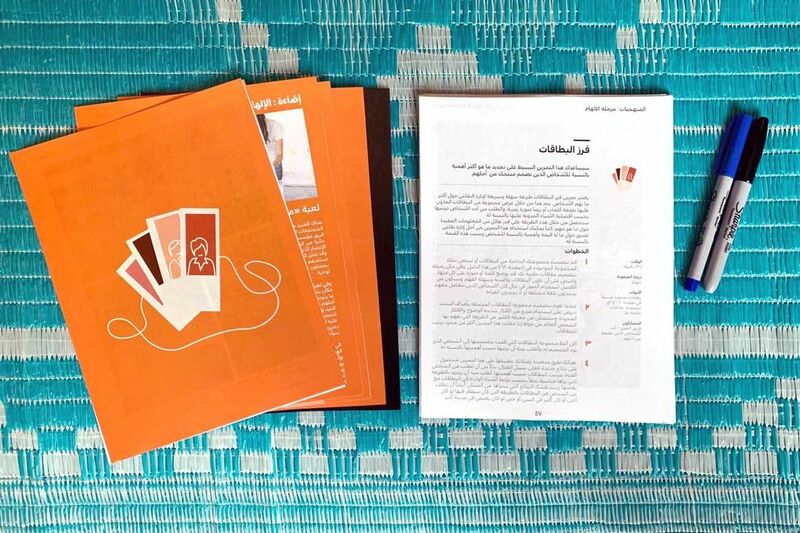 The group recently translated The Field Guide to Human-Centered Design into Arabic to provide more learning resources to Arab youth and apply human-centered practices in their local communities. Great challenges cause creative actions; that is how I was inspired to translate the Field Guide into Arabic. 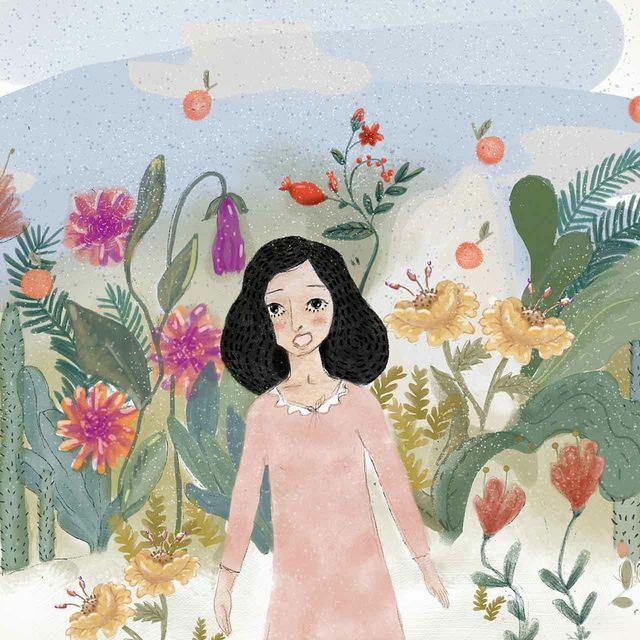 For the youth of conflict-affected countries like Yemen, the translated Field Guide was the perfect tool to learn and apply human-centered design practices to various challenges with the available local community resources. 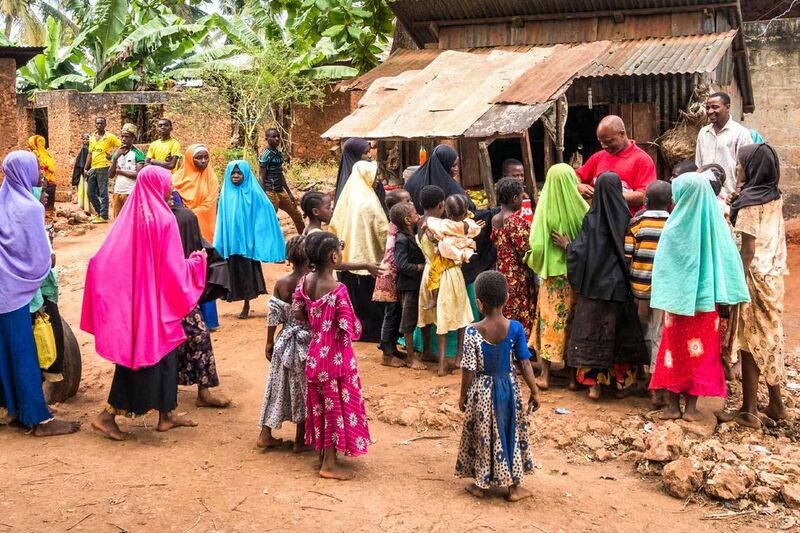 The Adolescents 360 program, led by Population Services International (PSI), aims to increase the uptake of modern contraceptives among girls in Nigeria, Ethiopia, and Tanzania. Design Kit’s online platform—from the mindset videos to the methods—have been used across PSI’s organization to ensure all programs are designed with girls at the center. Going into the field to learn from adolescents has changed how we listen to each other. HCD has left us with a deep empathy for the girls. It assures us that all the views we raise are in favor of the girls we serve. The design kit is an amazing practical tool that brings the superpower of Head, Hand and Heart together to design with and for people. Whenever I get stuck with daily encounters, including personal life, I refer to the principles and the tools within the design kit. Empathy is my favorite! In Nigeria, the design kit was easy to use as a hands-on learning kit. It helped the team to be more human-centered and less idea-driven, as we thought through the key moments in a girl’s journey and design solutions for them. 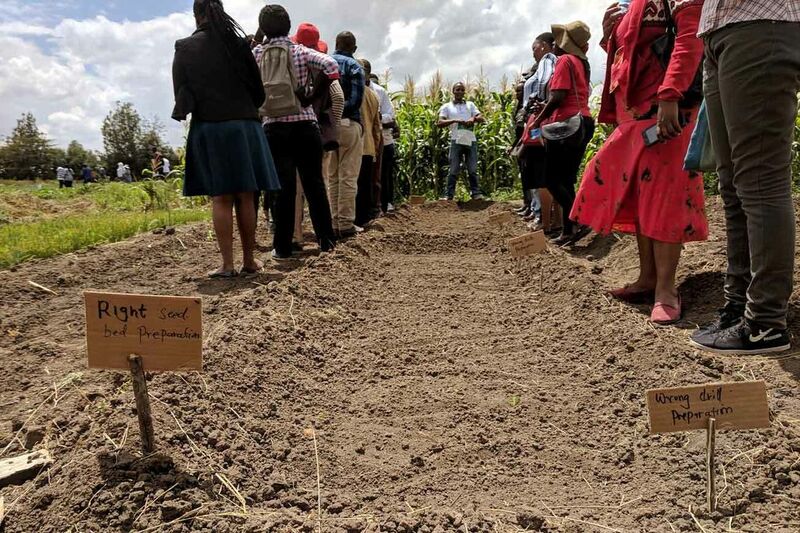 Farm.ink is an agri-tech startup that builds technology tools to help farmers across Africa share information and connect with each other. Design methods around prototyping and user testing have become fundamental to Farm.ink’s operations in order to build better products. It's hard to know where to start on farm.ink's incorporation of the many methods and tools from IDEO's HCD toolkit. From business model canvases to storyboarding to an array of ideas to support prototyping. The bottom line for us is that these tools give us what feels like a 2-3x advantage to building better products. We love that this is a toolkit, not a one size fits all methodology. You won't use every method in here, and you'll find more besides, but you'll find one or two that stick (maybe for life)... The HCD toolkit is a great starting resource to give an individual or team a practical basis in design thinking. Back in 2015, the U.S. Department of Labor (DOL), launched a nationwide “customer-centered design challenge” in collaboration with the White House using IDEO.org and +Acumen’s nine-week Introduction to Human-Centered Design online course as the backbone of the challenge. The US Department of Labor ran this challenge four times for more than 250 teams across the nation. The lessons these teams learned have been fundamentally game-changing – teams are re-energized, new insights about what customers need have emerged, and programs have become more successful in reaching the unemployed. Most importantly, this is 2000+ people across the nation that now have a new process that they can use over and over again in their day-to-day work. 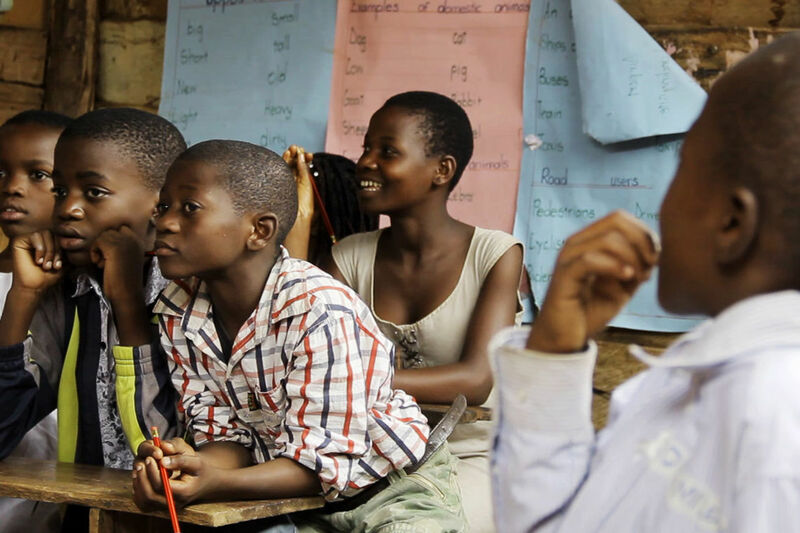 Young African Refugees for Integral Development (YARID) is a community-based organization formed by refugees in Uganda to provide informal language instruction, internet access, and vocational training to refugee communities in urban Kampala. While leading workshops and training programs for youth in the community, they often use Design Kit’s brainstorm rules. Since being introduced to Design Kit at an Amplify bootcamp, we’ve been using Design Kit to practice HCD and this has been very helpful to us to get closer to our beneficiaries and to come up with solutions that meet their needs. Digital Green is a global development organization that empowers smallholder farmers in South Asia and Africa to lift themselves out of poverty by harnessing the collective power of technology and grassroots-level partnerships. The team recently used The Facilitator's Guide to train their management team on how to translate farmer insights into prototypes. Seeing the IDEO.org team in action, we came to recognize how HCD can be such a powerful tool for impact. But it’s been difficult to replicate, and I've found it difficult to train our staff in what HCD really is. This is where the Design Kit comes in! I recently developed a two-hour training module for our program management teams using the structure and design from Design Kit. I loved how the Facilitator's Guide made it simple for me to design and deliver this training module—not only by suggesting specific exercises but also providing me with the videos and other tools I could directly share with the trainees. Best of all, the content was tailored to the developing-world context making it easily accessible to our NGO staff. 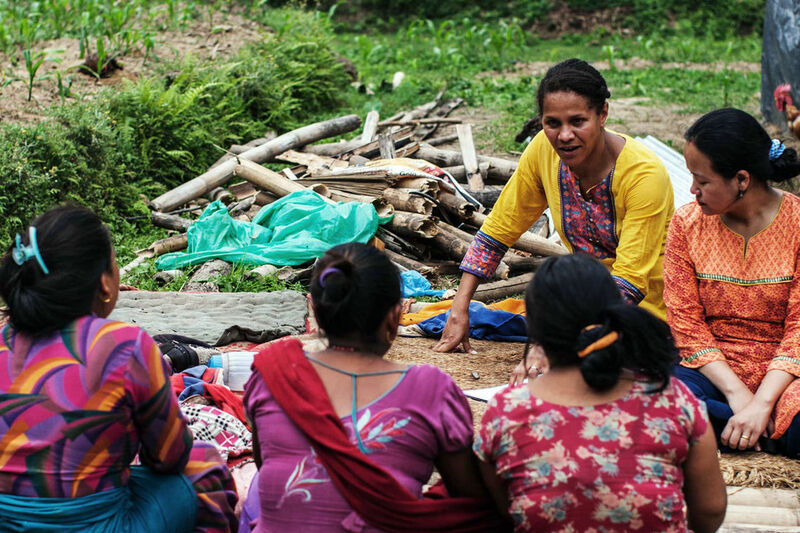 Herb Nepal is an organic farm and training center that equips rural Nepalese farmers with the skills and resources to grow, process, and sell herbs. Herb Nepal’s co-founders have used many of Design Kit’s tools, but what’s really shifted their organization internally is embodying the philosophy of embracing ambiguity. The tools were only part of it for me, I would start a method but feel it wasn't going quite according to plan. However, the most important and valuable learning I took from the entire process was the willingness to embrace ambiguity; how to work with the period of testing and trialling. In the end, I realised I loved this period of iteration. It helped us gain the confidence to start a product and realise it didn't need to be perfect, it just need to be a start. iACT is an international organization dedicated to improving the humanitarian refugee response around the globe. 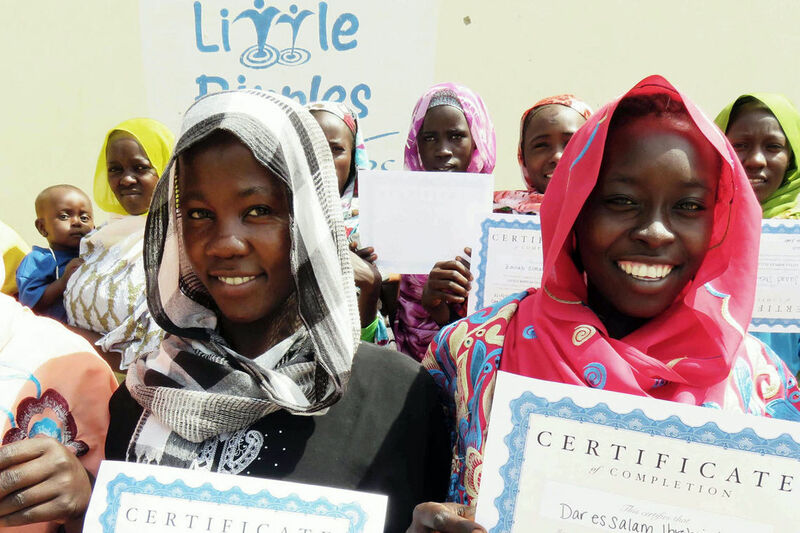 Influenced by human-centered design, their education, sports, and leadership programs in refugee camps in Eastern Chad are now lead, implemented, monitored, and scaled by the refugees themselves. iACT practices human-centered design (HCD) to challenge the traditional top-down humanitarian model and demonstrate the possibility for and impact of refugee-led solutions and programs in refugee camps globally. We've seen the HCD process lead to increased community buy-in and input of resources, program quality, community-led problem-solving, and program sustainability. MUVA is a DFID funded program that works to unlock the barriers vulnerable women in urban Mozambique face to accessing economic opportunities. 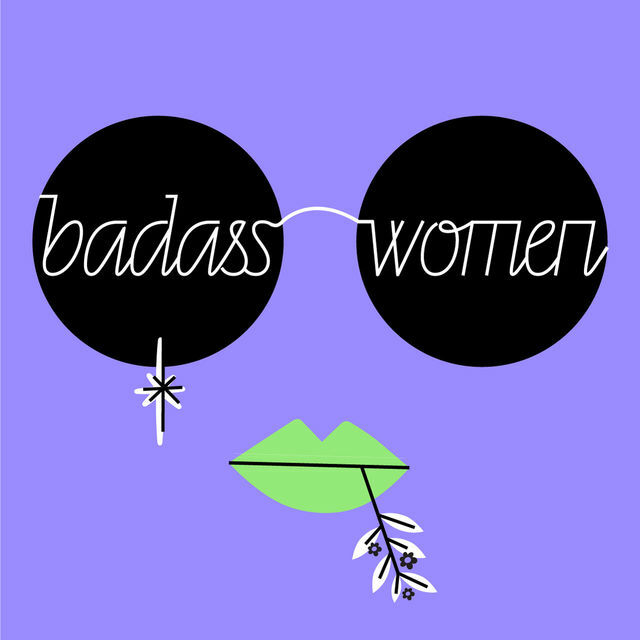 The team will be launching a gender lens acceleration program in May. 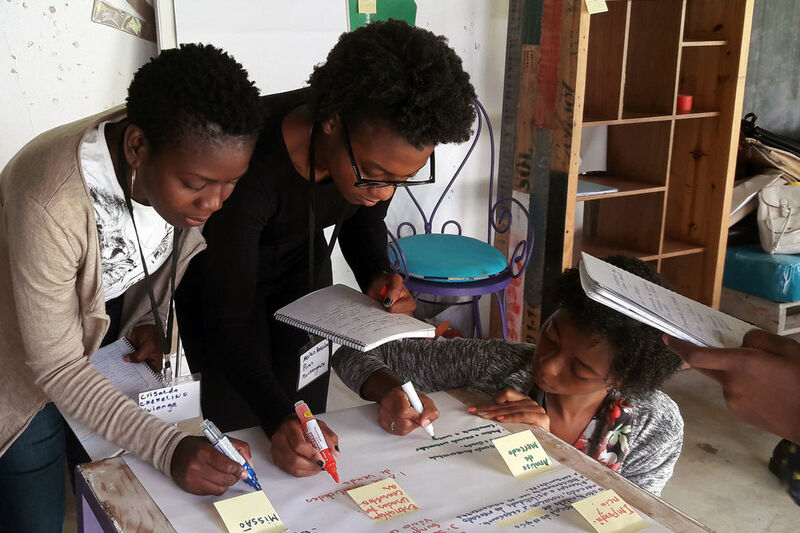 Using The Field Guide to Human-Centered Design as the foundation, they currently training young women in Mozambique as peer researchers. The program aims to improve the financial outcomes of businesses while also becoming a vehicle for women's economic empowerment. As we believe that HCD is the key for businesses to better connect with their consumers and therefore develop and design products and services that meet their needs and demands, we will have HCD research methods embedded in our acceleration program. For this purpose, we are training young women from low-income neighborhoods to become facilitators of the HCD process with local entrepreneurs and also qualitative researchers with the capacity to bring the voices of young women to the center of business decision-making. SignHealth, a charity based in Uganda, is dedicated to making sure deaf individuals receive equal access to healthcare and health information. 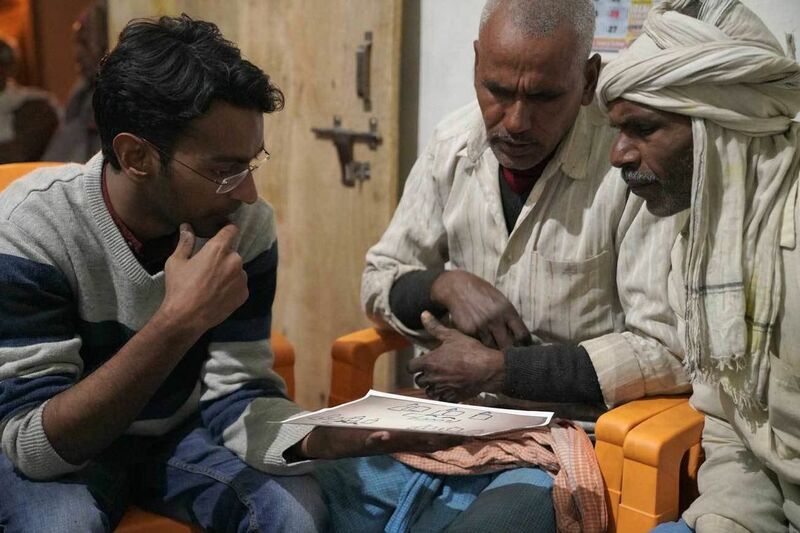 SignHealth’s exposure to human-centered design has made them strong advocates for co-creation. The organization is now committed to always having deaf youth as part of their core staff and on their field project teams. We at SignHealth and Deaf Child Worldwide (DCW) might not express it enough but the human-centered design approach had redefined the core heartbeat of our program work. Deaf young people are now at the center of project prototyping, the design process (capturing their own stories/experiences and proposing and testing tools among themselves) as well as program piloting. Village Hopecore International is an organization working to alleviate poverty through microfinance loans and micro-enterprise, business training and support, health promotion, and disease prevention programs. They start each process with a “How Might We” question and then use sticky notes to brainstorm, group ideas into themes, ask new questions, and come up with prototypes. I'm happy to share that we continue to use Design Kit to influence our work even though it’s been three years since we were first introduced to human-centered design during Amplify’s Bootcamp! A great example of how we use the design process to influence our programming is that after getting feedback from our clients, synthesizing it, and recognizing gaps, we decided to open up a HopeCore lab to better serve our community. By using this approach, we also hired and trained 98 community health workers. 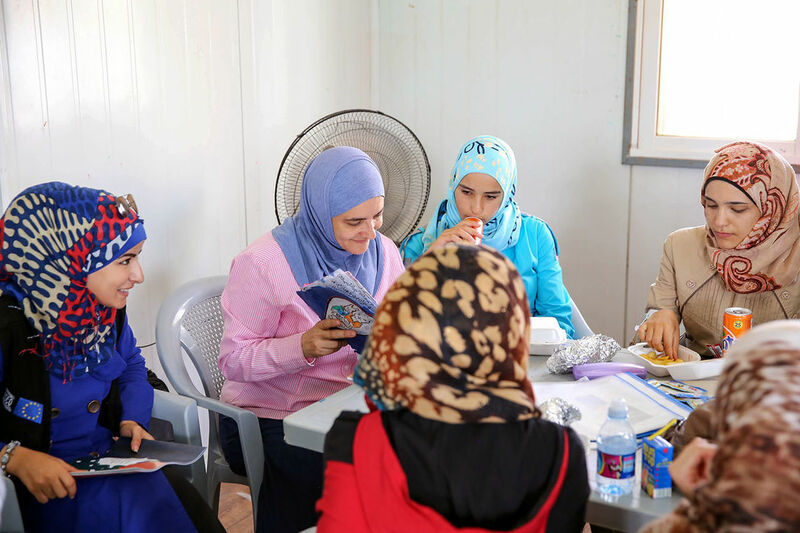 We Love Reading is a Jordanian non-profit organization focused on fostering the love of reading among children in Jordan and the rest of the world through establishing “a library in every neighborhood. 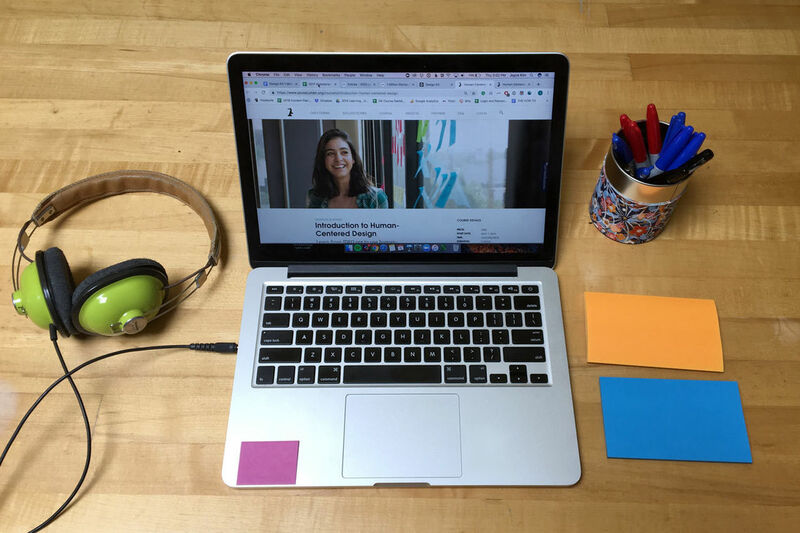 The founder of the organization directly trained her entire staff in Design Kit’s human-centered design approach to use when solving their challenges. After learning about the human-centered design (HCD) approach and Design Kit, I realized that HCD is inherent in what makes us human. It is how we survived. It is a natural evolution in a modern guise. I have been using and talking about HCD ever since. The World Health Organization (WHO) got interested and is already adopting HCD as an approach for designing programs. Special Hope Network is an organization working to address the needs of children with intellectual and developmental disabilities in the Zambian community. Special Hope Network was one of the grantees from Amplify’s seventh challenge focused on disability inclusion and was first introduced to Design Kit at an Amplify bootcamp. Special Hope Network has been radically transformed by Amplify and human-centered design. We have now created a way of identifying children under the age of three with intellectual disabilities by working with local clinics during their vaccination program. We have just been granted from the Minister of Health the ability to work with any clinics we want. This has allowed us to grow our community care centers dramatically. We had planned to open one center in 2018 but thanks to human-centered design, we opened three. We are so thankful for Amplify! Stanton Adams is a consulting firm that facilitates authentic dialogue about race and culture, diversity and inclusion with government agencies, corporations, non-profits, and academic institutions. They recently completed IDEO.org and +Acumen’s Introduction to Human-Centered Design Course. As a 20-year professional in the field of diversity, I have been searching for new tools and resources to revitalize our approaches to systemic equity and inclusion issues. Learning the human-centered design framework was exactly what I was looking for. I learned actionable ways to identify the enablers and inhibitors of the problems we were seeing. I also learned ways to engage the end-user so that they were a meaningful part of the process. I am so thankful to IDEO.org for providing these learnings for free and at a low cost. 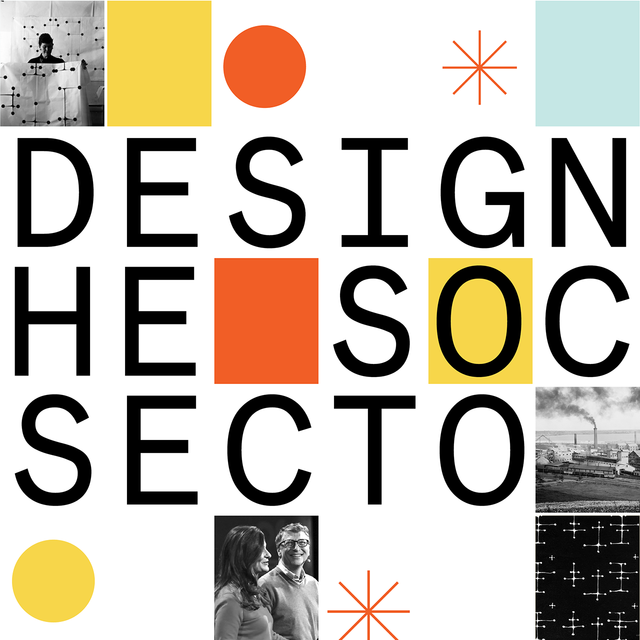 Modern design, the birth of the social sector, and where we go from here.